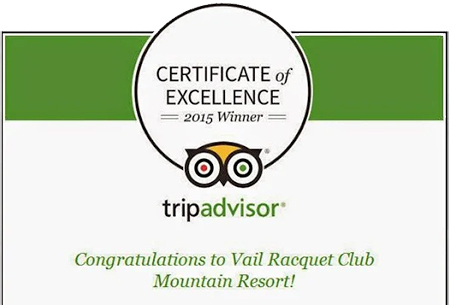 “Katie and the staff at the Vail Racquet Club were delightful to work with. Everyone commented on how nice the facility was and how professionally they were treated. I probably take over 100 students each year to events and my main goal is to avoid problems at check-in. Everything went smoothly, even for the students who had delayed flights coming in. The Foundation was very pleased with Vail and, as a former President of the Foundation, I know we will be back. Thanks again for making this all work so well. “Our group of Veterinarians and Industry Executives included 12 people from all over the country. It is the 3rd year we have come together to share ideas and ski. We have stayed in other locations but were not happy with the prices or accommodations. We have been looking for a home and we found it at Vail Racquet Club. the entire group travels a great deal so Hotel rooms all feel the same. Having the condos and townhomes provided everything we needed for our home away from home for 3 nights. Comfortable, clean, plenty of room, easy access to amenities, and comfortable meeting room. The location is not slope side but an easy ride to Vail Village and Lionshead. Bus service is easily accessible. The staff was excellent and helpful and our meeting planner Amy was one of the best I have ever worked with and I have worked with plenty. Thank you Amy!!!! Front desk staff was also wonderful whenever we needed anything. to discuss your upcoming meeting or team building event at 800-428-4840, Ext. 3031 or email sales@vailracquetclub.com. If you would rather, please complete the form below and we will get back to you with more detailed information in the manner in which you prefer.